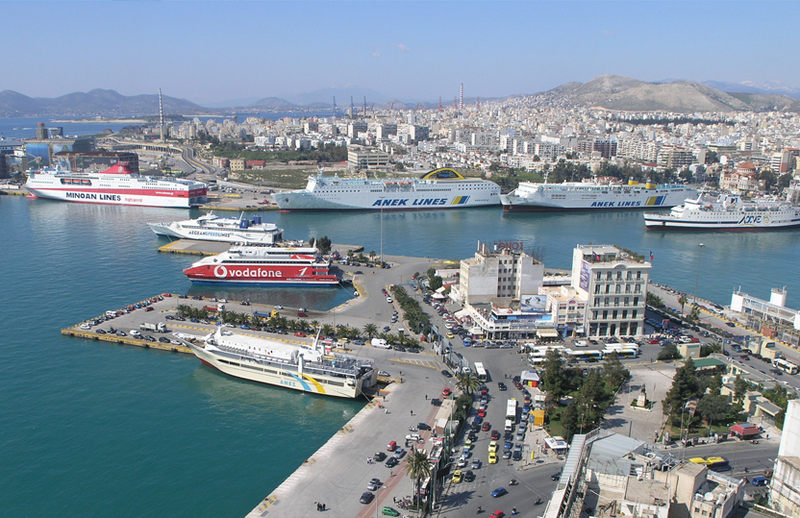 Piraeus is the largest port in Europe and one of the largest in the world in passenger traffic. It serves about 20 million. passengers per year (including a ferry line Salamis and Perama-from which moving about 8 million passengers per year). Is the basic link of mainland Greece with the islands of the Aegean Sea and Crete but and basic marine gateway of the European Union in the South end. The boundaries of the Central Harbour are Themistocles and Krakaris breakwaters. The Passenger Port is divided into spaces that serve coastal shipping and Cruise receptions. For his information, the interested passengers can be addressed in the shipowning company or marine agency which issued the ticket, or in the main Piraeus port authority (Tel: 210 42262000 and 214 147800). Metro: Piraeus, is the terminal station of the line 1 of the Metro(HSAP). Located just opposite the coast Kalimasiwti, a short distance from the gate E5 while the port access is now possible through the adjacent pedestrian bridge. In the vicinity of the station is expected to be built and the underground station of line 3 of the Metro (extension Chaidari – Piraeus). Metro line 1 is connected to the line 2 Omonia and Attiki stations and the line 3 to Monastiraki. Suburban: Suburban Station in Piraeus (previously known as "Peloponnesian" Station) is located at a distance of 200 meters from the subway station, at the junction of routes Kononos and Kalimasiwti Coast. • Buses: a large number of bus lines passing through the area around the port of Piraeus. ◦ Lines that run between the station of ISAP and gates E6-E9: 831, 832, 833, 875 that run between the station of ISAP and gates E6 to E12: 827, 828, 832, 843, 859 . ◦ Lines starting with the coast Vassiliadis (serving the gates E1-E9): 218,232. Express Ch96 Piraeus-Airport Line (24 hour operation). Ferry tickets enter the gate of departure from Piraeus. Air Champion24 .com offers ferries to and from Piraeus on all services performed from any port of Greece. You can easily search and choose your ferry route that it serves, easily and instantly. The booking takes place in real time using your credit card or by making a booking with the help of the staff of our Office.